In this article, I have provided top 3 Free WMA Players 2018. Use them to play WMA files without any issues on your Android smartphones. Nowadays, Android is being used mostly for media consumption all over the world. Downloading and playing the media stuff is one of those tasks that we do on a regular basis. “Media stuff” includes all sorts of videos or audio, somewhere around the line, you might have come across the word or term called “WMA“. Well, it’s not that big of a deal, WMA is just an audio format and a codec that is being used in Windows Media Player. Casual android media players will not be able to play or run WMA files. WMA file is something that is supposed to be run only by Windows Media Player. But again, the technology is constantly growing all the time. Now it’s possible to run WMA files on any Android device with the help of a WMA player for android. There are only a handful amount of Media players in Google Play Store that are not capable of running WMA files. The reason why most of the media players don’t support it is that WMA is a proprietary format that is solely owned by Microsoft and they have no plans on distributing it to android platform. Even Google has dropped the idea of supporting WMA in Android version 3.0 itself. You will have to download a third-party app to play WMA files on your android. If you are looking solutions for the same problem, you’ve landed in the right place. Today, we are going to share some of the Best WMA Player for Android. Let’s hop into the list of free and Best Music Player for Android to Play WMA Files. VLC Media Player is one of the few media player names in the industry that managed to build an impressive level of popularity. The company officially launched its Android app in the year of 2012 with an aim to provide the VLC Media Player experience to smartphone users. VLC is purely an open-source multimedia playback app for Android devices. It provides extraordinary features such as Network streaming, DVDs, and disc sharing. VLC supports almost all the popular media formats like MKV, MP4, AVI, MOV, Ogg, FLAC, TS, M2TS, Wv, and AAC. With the recent update, it has started supporting WMA files as well. Apart from that, it also features multi-track audio and aspect ratio adjustments. VLC doesn’t need any separate downloads to play the audio codec files, just move your media files to the library and you are all good to go. VLC for Android is basically ported to android platform from its desktop version. There’s not much of a difference you’d find between both the platforms. VLC Media Player has always been known for its flexibility of options and features. Unlike other WMA Music Players, VLC is an entirely free to use Media player for android. It doesn’t feature any ads and there’s no in-app purchase scene as well. You may try out LocaliAPStore or iAPCracker if you come across such In-App Purchases only if you are on iOS. Everything is available for free of cost including the source code. 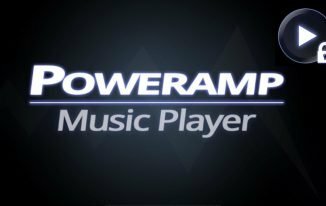 Well, Power AMP is one of the best premium music player that lives up to its claims. Power AMP offers loads of versatility when it comes to audio playback. It supports all the common and standard format files including WMA. Power AMP mainly focuses on nothing more than being a powerful music player for Android devices. The app can scan your whole device’s library within seconds and categorizes whatever the audio files it finds in a sneaky manner. While you listen to your favourite song, it can be really boring to watch its wallpaper all the time. For that, Power AMP provides 10 different graphical equalizers to keep you hooked. Apart from that, there are tons of different style themed skins for Power AMP to customize according to your interests. Even after the six years of launch, Power AMP still retains its spot as a solid Music Player for Android in the market. The trial version allows you to enjoy all the premium features for 15 days, you’d have to shell out some cash after that to purchase the pro version. Power AMP is worth purchasing and one of the Best WMA Player for Android so far. In case of any requests or issues, you can directly contact the developer from the app itself and get your issue rectified. KM Player is one of those hidden gems of Google Play Store that many don’t know about. The KM Player beats most of the music players when it comes to WMA file playback. It allows you to have media consumption at the highest possible quality with ease. KM Player offers several features such as Floating screen (creates a floating window of the current media playing), multitasking (Allows you to carry on your work while watching the videos), support for subtitles etc. The player has been perfectly optimized for WMA format playback without any issues such as app freezing or crashing. KM Player is a modern music player built for the modern generation gadgets. Unlike other apps, KM Player doesn’t need any download of additional codecs, the main version supports almost all the audio formats and codec. It’s an all in one wrapped Media Player for Android devices. It supports up to 30 different languages and provides full control over your media consumption. Apart from being the best media player for android, it also allows the user to stream videos at the native or finest quality. 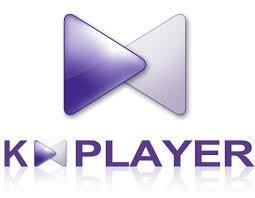 KM Player is growing rapidly and currently has a user base of over 300 million from all over the world. Similar to VLC Media Player, this one is also created and developed by a group of passionate developers. KM Player is free for everyone, just go ahead and get it from Google Play Store. WMA files are majorly meant for Windows Media Player and other players can’t play them except few. Grouping them together is a hard task but we did that for you. Go through the shortlist and find out the Best WMA Player for Android by analyzing the features of them. Share this article with your friends on social media.